The Ink Trap: August Krafty Peeks at Kraftin' Kimmie Stamps: Day 3! 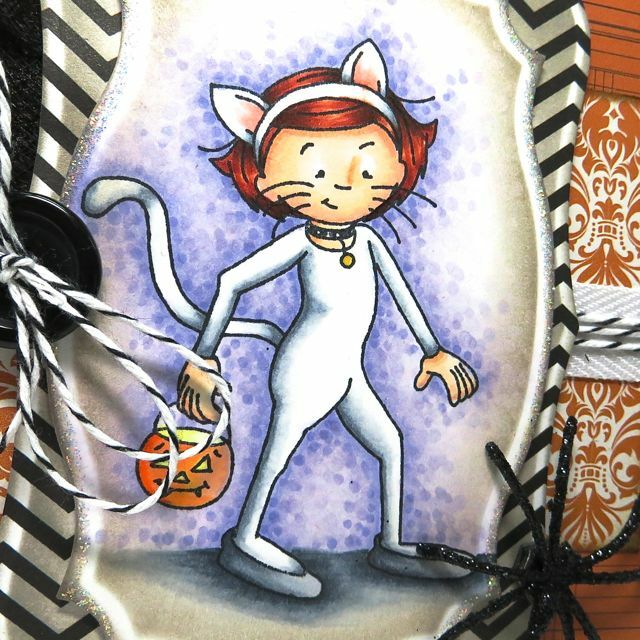 August Krafty Peeks at Kraftin' Kimmie Stamps: Day 3! Beautiful card! Your coloring is gorgeous and I love the netting and spider. wow...what a stunning card, so many details and they all match perfectly. The white cat is so adorable!!! WOW---Love that white cat---very different! LOVE it! Adorable! Love that she's a white kitty. Love the bits of fabric and the black chevron paper and the border around her image. Love it! Wow! Love this Cheryl! Your colouring is incredible!! Oh My Gosh! this is wonderful! your coloring rocks and has brought this little darling to life! i love her hair!! great colouring! Purrrfect combination between sweet & spooky! love the extra coloring effect outside her figure! love her in a white cat suit!!! Totally adorable!!! I would never have thought a "white" cat! She is so cute!!! So love that you made her a white cat!! 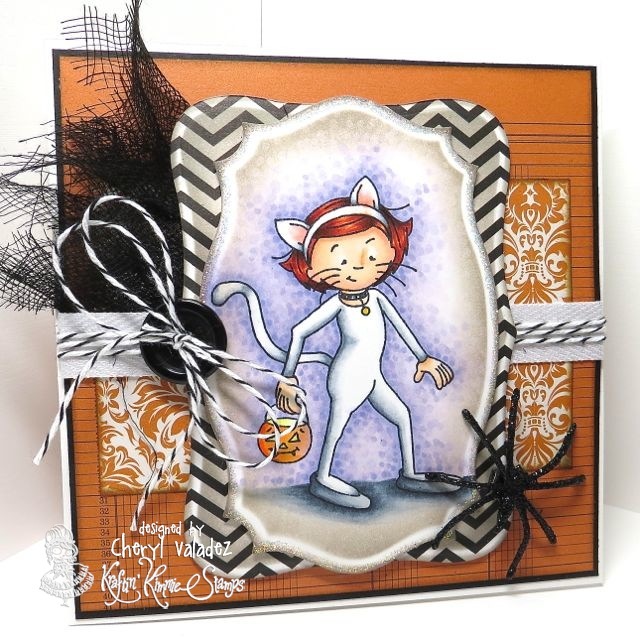 What a gorgeous Halloween card!! The image is so cute!! And I love the spider! OMG...what a gorgeous creation...I just love this...and especially the WHITE cat costume...very nice indeed Cheryl...thanks for sharing and inspiring.